Come run and celebrate 6 years with us! Beer Mile, Food Trucks, Live Music, specialty beers and more. 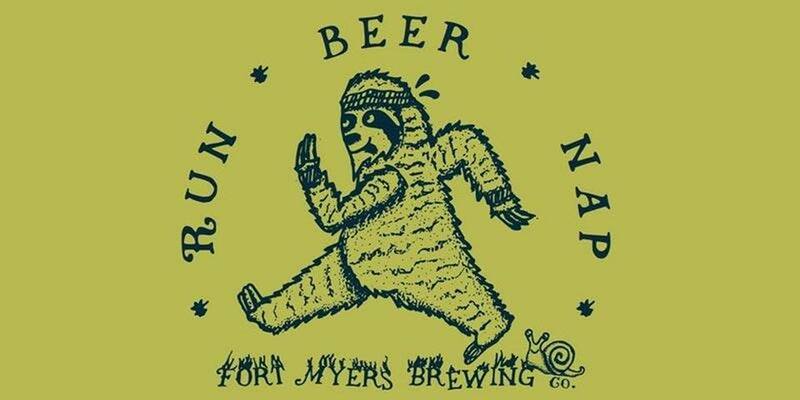 Fort Myers Brewing 6 Year Anniversary will be a 4-day celebration! Drink a Beer, Run 1/4 Mile. Repeat 3 More Times. Try Not to Fall Down. Day of Registration: 10AM - 11:15AM. There are limited tickets for the beer mile run - sign up early! Entry Fee: $30 for an Individual Entry, Relay Teams Welcome: 2 Person Relay = $25 per person (2 beers each, 2 laps each, 1 shirt each); 4 person relay = $20 per person (1 beer each, 1 lap each, 1 shirt each). Relay Details: Whoever registers the relay team must be present to pick up all t-shirts/bibs and bring all signed registration forms for each participant (emailed the week of the event). On race day all team members must show ID. The relay race happens at the same time as the individual race. For relay teams - 1st runner drinks the first beer, then runs the first lap. Once that runner is done, the second runner can drink his/her beer and run his/her lap and so on and so forth. For a two-person relay, you can split it up however you choose - (i.e. same person runs the first two laps and the next person runs the last two OR switch off laps). Prizes: We have awards for the fastest individual male and individual female. Please watch for emails with details and waiver the week of the event. Drink responsibly and plan to have a designated driver! *Entry fee includes beer during run & a t-shirt (sizes given on or before February 20th are guaranteed).